I look forward to welcoming you to the 49th Session of the Synod of the Ecclesiastical Province of Rupert’s Land. It is always a privilege to gather as Anglican Christians to consider and reflect upon our work and ministry in the life of the Church – and to share our concerns and insights with one another in the context of our part of the Canadian church landscape. Living and proclaiming the Gospel in a culture that is post-Christian and often hostile to Christian faith is the great challenge of the church in our time and nothing can be more central to that challenge than the call to live more fully as Disciples of Jesus Christ. 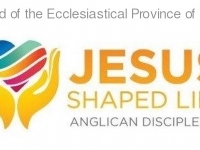 Our theme “Living & Sharing a Jesus Shaped Life: Anglican Discipleship” speaks to that challenge and I am most pleased to have the Right Reverend Stephen Cottrell addressing that challenge with us. I ask your prayers for our gathering, and prayerful minds and hearts as we prepare to share in this time.